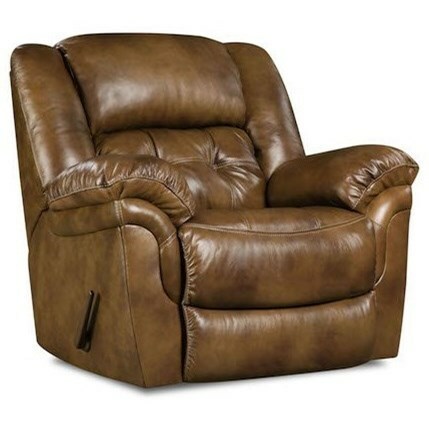 Relax and enjoy your weekends in comfort with this power rocker recliner. Gently rock back and forth on the rocker base and stretch out with the support of the plush, pad-over chaise cushioning. Tufting in the seat and back of this piece offer a casual look that is perfect for any home. Power reclining puts you in control of your comfort with its seemingly endless positioning. The Cheyenne Casual Power Rocker Recliner with Tufted Back by HomeStretch at Miskelly Furniture in the Jackson, Pearl, Madison, Ridgeland, Flowood Mississippi area. Product availability may vary. Contact us for the most current availability on this product.